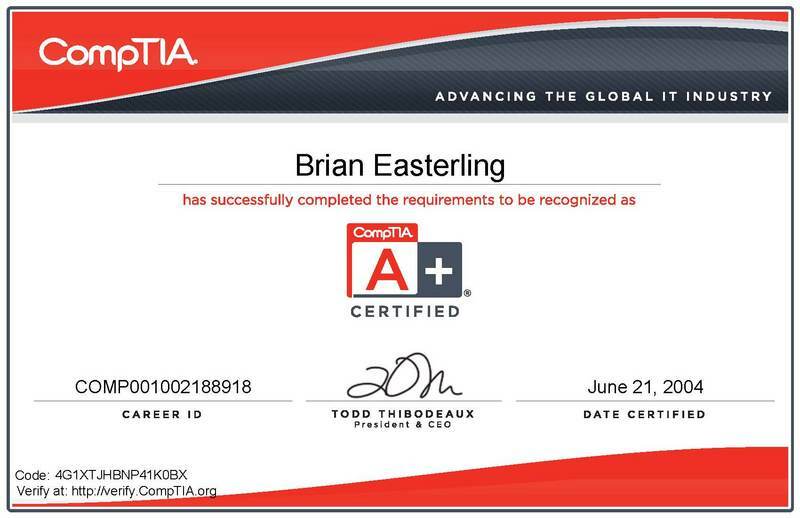 In addition to being CompTIA A+ Certified, CompTIA Network + Certified and ITIL Version 3 Foundations Certified, I bring 26 years of combined experience and leadership in Technology Support, IT Leadership and IT Service Management. I have demonstrated these and other skills throughout my career by providing IT support services in the United States Marine Corps, Public and Private Education, Academic Medicine, Insurance/Financial Services as well as Construction, Manufacturing and Energy. Manage a cross-functional team of seven full time IT Support Specialists located in Pennsylvania, Georgia, Florida, Wisconsin and California. Responsible for maintaining consistent quality customer service and delivering effective on-site technical support. Develop and execute strategic and tactical business plans to guarantee the availability and stability of Windows desktops, laptops and tablets as well as iOS, Android and Blackberry devices. Focus on talent acquisition, professional development and relationship management. Worked closely with the low voltage contractor and the Airgas project team to ensure that there were LAN ports available for print stations, cubicles and offices and that the cables were labeled using the naming conventions provided to the contractor. Worked closely with the security camera vendor, the security door vendor, audio visual vendor and vending machine vendors to successfully install their equipment. Worked with the RF subcontractor to design and install the RF infrastructure to ensure that there was adequate coverage throughout the warehouse. Also worked with the low voltage contractor to ensure the RF WAPs and antennae were properly installed and operating as expected. There are 10 RF WAPs located in the warehouse. Started meeting in August with Verizon, Time Warner, AT&T and a local telco to ensure circuits were installed, including the infrastructure into the building from the street, properly and on-time. Worked closely with the Airgas Telecom team and vendors to order and install the MPLS circuit, 5 PRIs, 20 POTS lines (fax, vending machines, etc.) and backup broadband circuit. Identifying the existing phone numbers and DIDs and porting them to the new location was very challenging. It required working with multiple telecom vendors and scheduling the cutovers to coordinate with 3 separate move in dates. The data and phone lines were successfully installed on time without disruption of the phone service or loss of access to Airgas applications. Managed a cross-functional team of four full time IT Support Specialists located in Pennsylvania, Wisconsin and California. Responsible for maintaining consistent quality customer service and delivering effective on-site technical support. Develop and execute strategic and tactical business plans to guarantee the availability and stability of Windows desktops, laptops and tablets as well as iOS, Android and Blackberry devices. Focus on talent acquisition, professional development and relationship management. Supervised a team of two full time IT Support Specialists with responsibilities for Airgas locations in Pennsylvania and Delaware. Responsible for maintaining quality customer service and delivering on-site technical support for Windows desktops, laptops and tablets as well as iOS, Android and Blackberry devices. Supporting teachers, administrators and support staff by providing building level technical support and individual assistance with procedural, hardware and software issues as well as skills development. Troubleshooting hardware, software and network problems throughout the district. Delivering, unpacking, configuring and installing desktop, notebook, handheld computer and communications equipment. 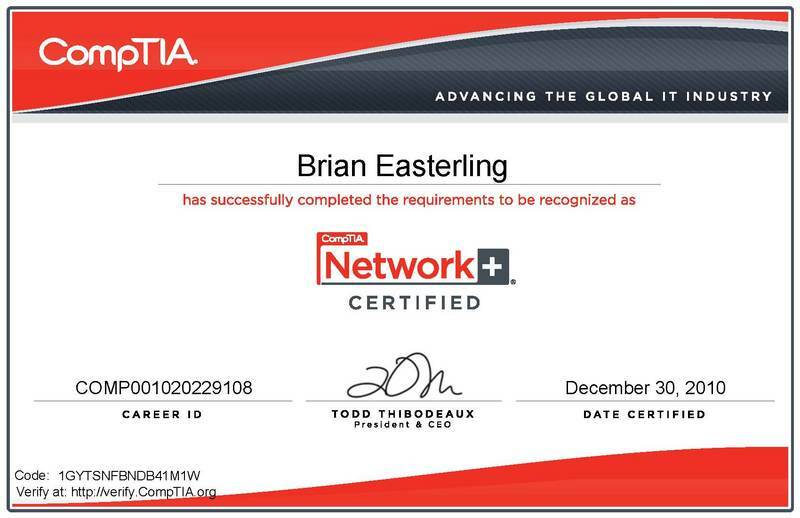 Troubleshooting, installing, terminating and testing network and peripheral equipment cabling. Installing software as per district procedures and vendor licensing agreements. Previewing and evaluating hardware and software and effectively using new and existing equipment and software. Organizing and executing staff in-services and technology workshops. Supervised a team of eleven Service Desk Specialists that provided technical support to internal and external customers from 7:00 AM until 9:00 PM, seven days per week. Our scope of operations included assisting Progressive employees in our six major locations (Austin, Cleveland, Colorado Springs, Phoenix, Sacramento and Tampa), and providing technical support to hundreds of claims offices across the country and more than 30,000 independent Progressive agent/brokers. A series of management training rotations within Progressive's cross-functional IT organization. The program is aimed at developing well-rounded, versatile, cross-platform IT managers. Led a team of 25 Client Server Operations Analysts that provided 24/7/365 support of Progressive’s Production, Development and Test Wintel distributed server environment. We were responsible for Service Level based event response, code elevation and change implementation. In addition, we provided support to application development teams and trouble-shooting for multi-tier applications and server issues. Other responsibilities included but were not limited to defining, documenting and maintaining event responses and the accompanying procedures, scheduling and implementing preventive maintenance and reporting results to management on a monthly basis. Responsible for providing support and guidance to the Level I and Level II Analysts for complex, un-documented technical issues. In addition to coaching and mentoring team members to achieve performance and career objectives, I served as the escalation point for system outages as well as technology and project related issues. Other duties included managing team schedules, coordinating holiday coverage, vacation time and team building events. I ensured accurate monitoring and metrics, participated in ticket review and control, and trained and mentored new employees. I assisted with quality control of and modifications to event response procedures according to changes in the environment. 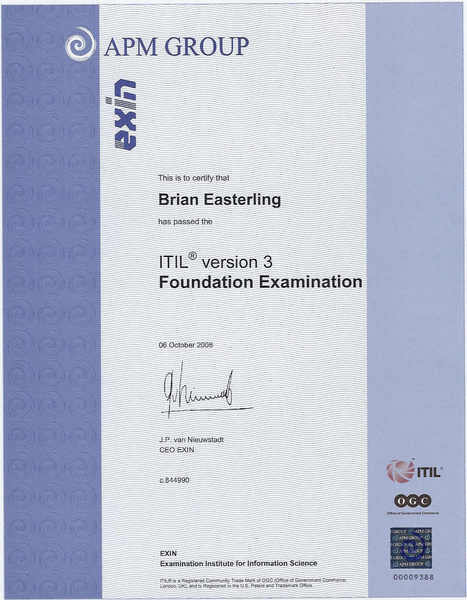 As a Level II Analyst, I was responsible for providing day-to-day support of Progressive’s Production, Development and Test Wintel distributed server environment. I was responsible for responding to all automated alerts on all vendor platforms within the established Service Level Agreements. I was also the first line of support for application developers during elevation activities. I also assisted the incident and problem management teams during system outages. I provided operational support for Hot Fixes, updates and emergency rollouts. I installed and updated Client/Server applications. I made regular suggestions for improvement of support tools and helped design more efficient monitoring strategies. I collected, maintained and reported monthly inventory statistics for the Cleveland production server environment. Coordinated and executed desktop support activities for over 200 Scientists and Clinical Investigators at the research arm of University Hospitals of Cleveland. Maintained configuration records, performed Windows and Macintosh personal computer installations, developed support and upgrade processes for all computer systems and applications using server, workstation and asset management tools. I continually evaluated new technologies to support a full spectrum of users from basic laboratory researchers to clinical trials investigators. Effectively allocated resources and equipment to researchers, administrative and executive staff. Developed relationships and established Service Level Agreements with pharmaceutical, biotechnology and medical device vendors. Worked closely with Case Western Reserve University Information Technology personnel to successfully integrate Mac OSX and Windows devices to ensure seamless connectivity between UHRI and CWRU Networks. Supervised the activities of 10 Systems Analysts. Realigned customer service operations by re-distributing responsibilities and improving service delivery and productivity. Responsible for planning, deployment and technical support for the UHHS Main Campus network. Developed and maintained productive relationships with Senior Vice Presidents, Departmental Administrators and Clinical Managers to deliver service to over 18,000 users, vendors and contractors throughout the Main Campus environment. Managed large design and implementation projects for a system of private career colleges. Responsible for managing sub-projects around the implementation of voice and data technologies in a multi-site campus environment. Led a dynamic support team with responsibility for supporting over 1000 student users. Ongoing activities included, product upgrades, disaster recovery exercises, installation images for classrooms, financial aid, career services, admissions and academic office environments for two campuses. Developed, organized and conducted staff training for popular software packages. Lead team through technical, professional development and productivity management activities. Developed and conducted user and support personnel education and training classes, which resulted in improved efficiency transforming the workplace environment into one of optimism and cooperation. Performed supervisory duties as midlevel office manager in a variety of administrative assignments for the Office of the Director, Facilities Division, Commanding General, Marine Corps Base, Quantico, Virginia. Developed a thorough knowledge of the capabilities and requirements of Marine Corps standard word processing and database software packages, and the Marine Corps Total Force System (MCTFS), which encompasses the On-line Diary System (OLDS), and the Unit Diary/Marine Integrated Personnel System (UD/MIPS). Maintained an overall knowledge of personnel (general and operational) administration procedures in order to establish, direct, and supervise the administrative functions of the office and supervise the flow of paperwork to ensure proper staffing of all inbound and outbound correspondence, drafting/publishing, and supervising the maintenance and distribution of directives and correspondence. In addition to developing and maintaining an Environmental Compliance Tracking System, I provided administrative support and prepared correspondence to the State Water Control Board, CH2MHill, the Natural Resources Defense Council and the Environmental Protection Agency. Promoted to Corporal (E-4). 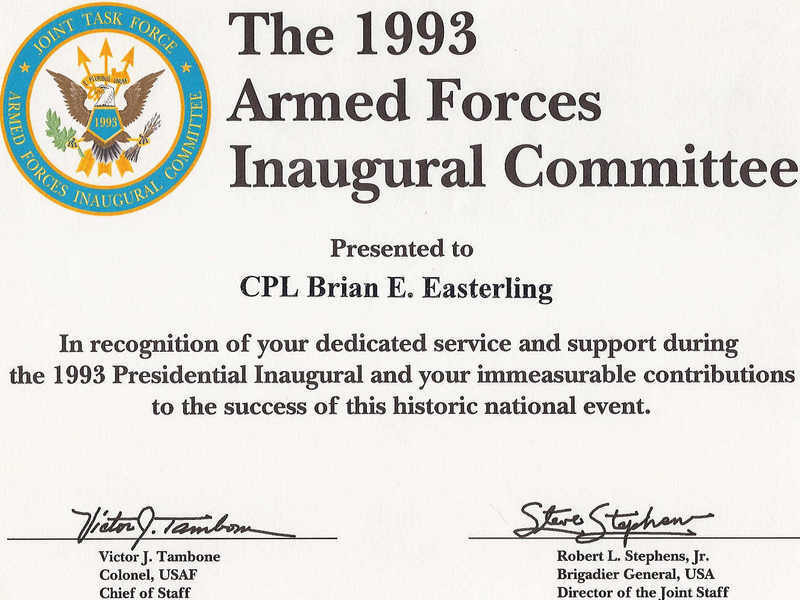 Selected for special duty on the 1993 Armed Forces Inaugural Committee. Selected by Commanding General, Marine Corps Base - Quantico, Virginia to supervise the operation and management of administrative and clerical functions for the Joint Services/Armed Forces Inaugural Committee for the 1993 Presidential Inaugural. Duties included basic clerical skills, typing, and communication abilities. In addition to administrative, managerial, and technical skills the duties required personal computer skills (personnel and pay database retrieval and word-processing), preparation and use of military publications and correspondence, preparation of orders and directives, and the use of filing systems and record keeping. 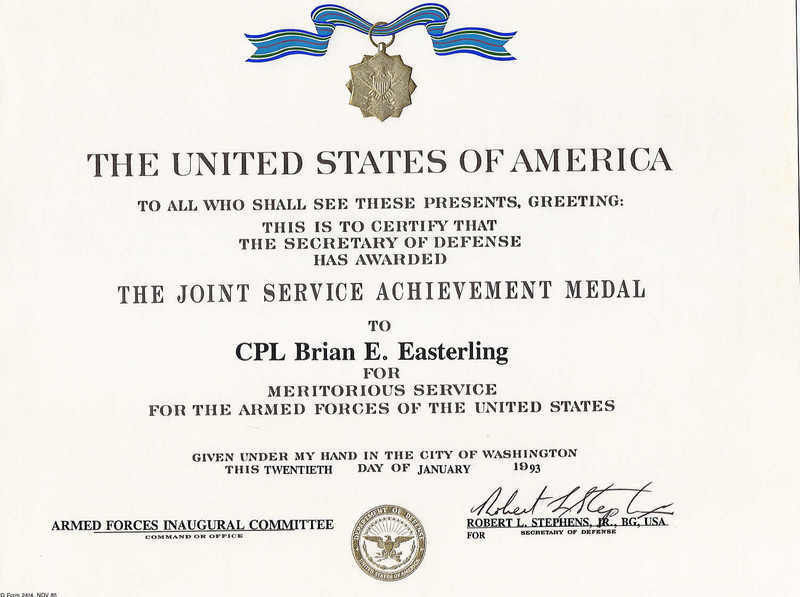 Awarded The Joint Service Achievement Medal. Performed clerical and administrative duties incident to general and operational administration utilizing manual and automated information systems for Headquarters Company, 9th Marine Regiment (Reinforced). Utilized knowledge of the Marine Corps Total Force System (MCTFS), and Marine Corps standard word processing and database software packages. 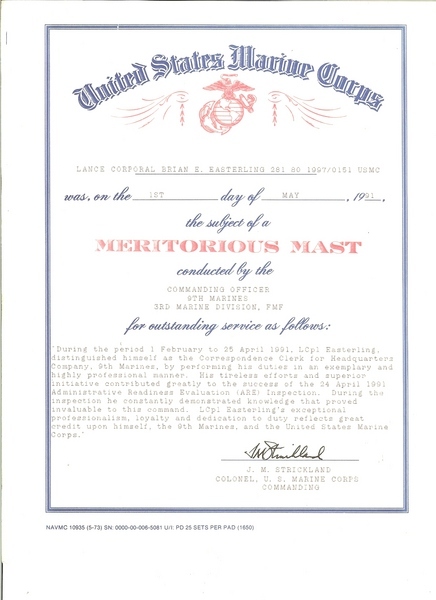 Typical duties included the preparation of naval correspondence and messages; preparation and maintenance of directives; preparation of travel orders, completion of general administrative requirements such as leave authorizations, identification cards, and preparation and maintenance of command snit punishment books. Other duties included auditing field service records, verifying information contained in unit diary feedback reports/personnel management reports, preparation of discharge and retirement documents, and verifying the accuracy of information contained in the MCTFS databases. 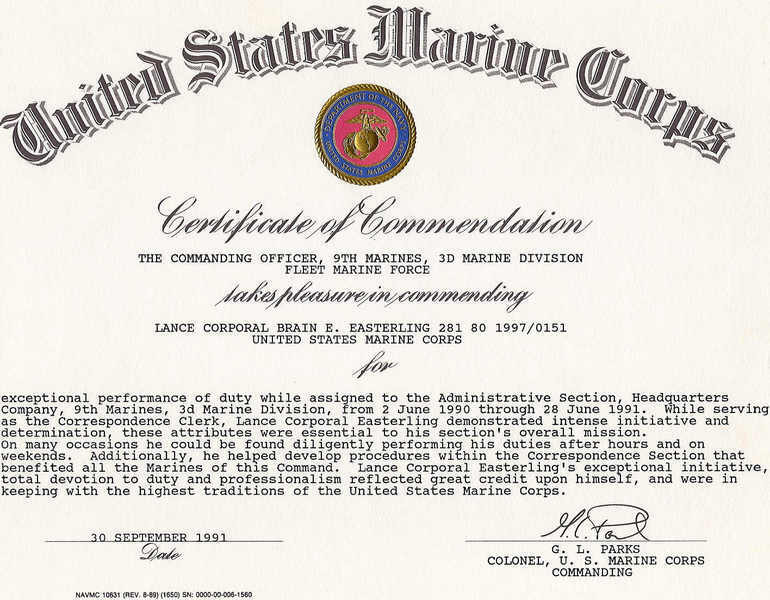 Promoted meritoriously to Lance Corporal (E-3). Awarded Certificate of Commendation.